Now that the danger of completely losing our UNESCO WHS status has receded a little Engage felt that this is the right time to explore how Liverpool can make the best use of being a WHS city to benefit development, civic design, tourism, economic and cultural regeneration and local appreciation of the significance that UNESCO inscription confers on us. 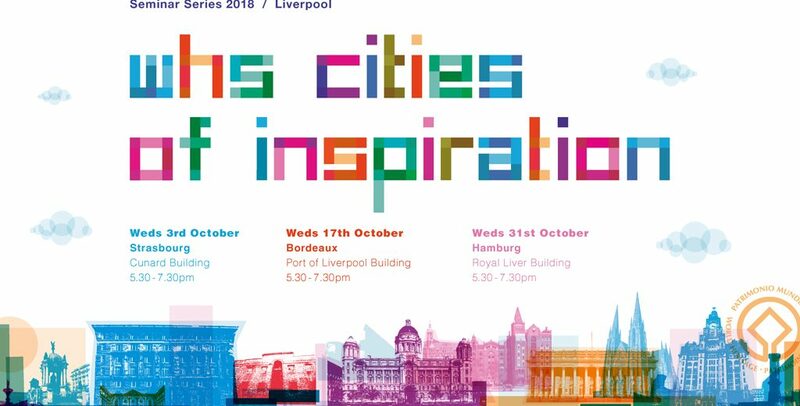 We have invited three European WHS cities to come and share with us how they have used their UNESCO status to promote and develop their city. Strasbourg, Hamburg and Bordeaux will all travel to Liverpool to share their experiences and expertise with us. These Three Seminars in the Three Graces are a conscious follow-up to the work Engage did last year to protect our status as a UNESCO WHS, which was secured temporarily in Bahrain at the 2018 WHC meeting, at which Engage’s chair spoke to the assembled ambassadors. The city authorities of Strasbourg, Hamburg and Bordeaux are leading the way in making the best possible use of their special status as UNESCO cities to enhance their regeneration and development and actually set their cities apart from others creating something unique and distinct that makes tourists want to return again and again and adds value to their citizens experience of living and working in the city. We have invited the Mayor of Strasbourg and the architect Henri Bava who is leading a major development project (Deux-Rives) in the city. From Bordeaux and Hamburg we have invited the Managers of their World Heritage Sites along with an architect/planner working in each city. The seminars will also have a panel of 3 local people taken from politicians, council officers and the Mayor’s WHS Task Force. The seminars will open their doors at 5.30pm for registration and refreshments and the event will start promptly at 6.00pm and finish promptly at 7.30pm. Registration is essential and we are asking participants to support our work by making a donation towards the cost of the event and if required anyone who wants a refund can request one on the night so the seminars will remain free for those people. Engage has to raise every penny it spends on these events and receives no funding apart from sponsorship funding. Your support and financial help is very much appreciated. Will the UK quit UNESCO like USA and Israel?